Two adapter rings to use KIEV-88 lenses on KIEV-60 camera. Two adapter rings to use KIEV-88 (screw mount) lenses on a KIEV-60, KIEV-6C camera and others. 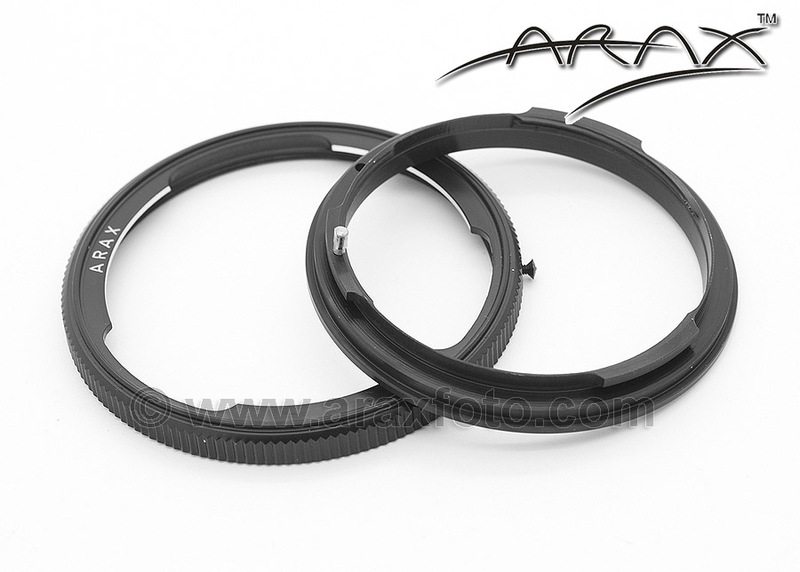 These two adapter rings allow the use of KIEV-88 (screw mount) lenses on a KIEV-60, Kiev-6C camera and others. Retains the automatic diaphragm function of the lens. One ring is installed with only one screw on the Kiev-60 and Kiev-6C camera body. This results in a permanent improvement over the factory mount and allows for the use of a wider variety of lenses. The other ring is screwed onto the lens. For Kiev-88 and Salyut cameras, you need only one ring. Retains the automatic diaphragm function of the lens. All other automatic functions (like auto-focus, aperture changing, etc.) DO NOT WORK. It's a simple mechanical adapter and when you use it you should do everything manually. This adapter do not have optical element inside, so there will not be any light loss. Just screw on to screw-mount KIEV lenses and it will change the lens mount to KIEV-C (P-Six) mount. It is easy to install and deinstall. You can use it on different lenses. Not only for one lens. Just remove the original mounting ring from your Kiev-60 or Kiev-6C. You will need to unscrew only one retaining screw on the mount. Then install our ring reusing the same screw. This ring will then remain installed on your camera body. 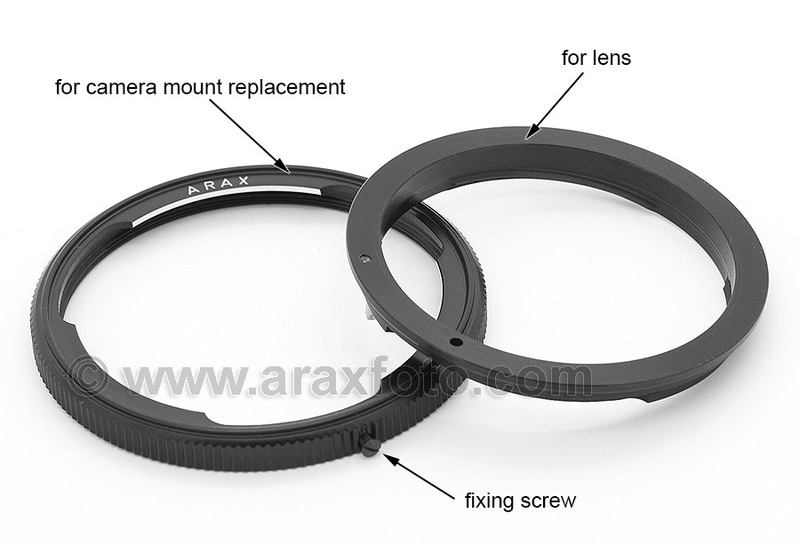 The second ring for the lens can be used on any lens with Kiev-88 mount which you want to fit on your camera. This second ring can be used on multiple lenses.